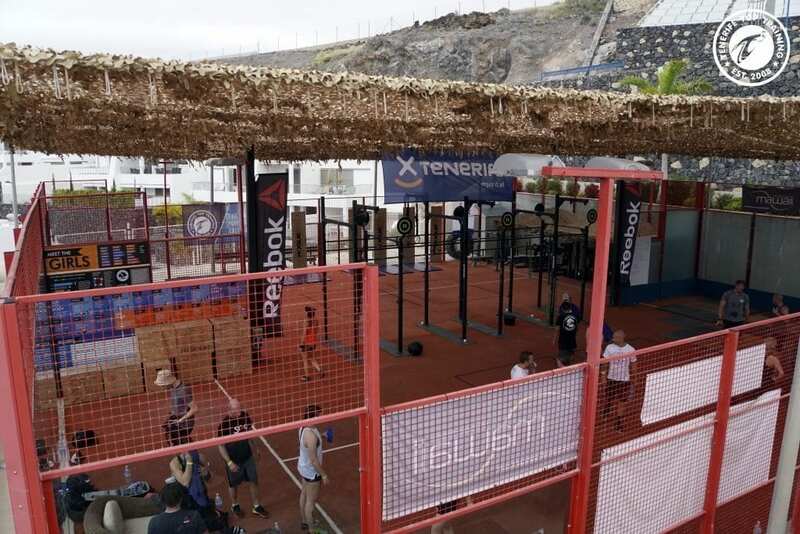 Tenerife Top Training – The Dream Holiday for Every Crossfitter! Train in style, on a subtropical paradise aptly named 'the island of eternal spring'. 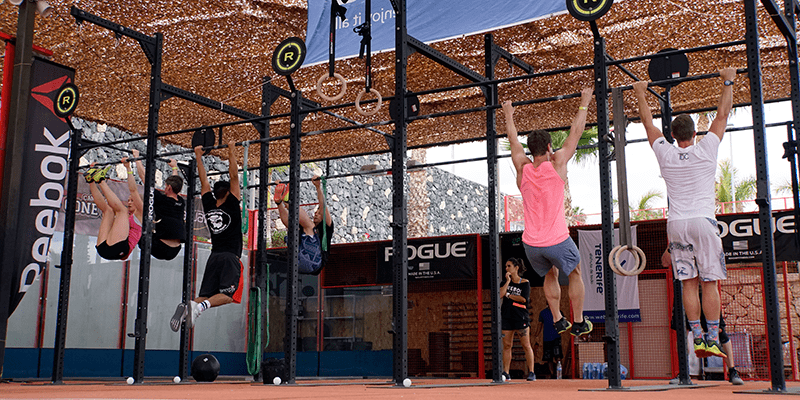 How does a week in the sun, training at a 400m² open air CrossFit® box with world class (Rogue and Elieko) facilities sound to you? In case you need more convincing, the sea is only 100m away, you can train on the beach, your nutrition is taken care of and swimming workouts take place in the 50m Olympic pool. 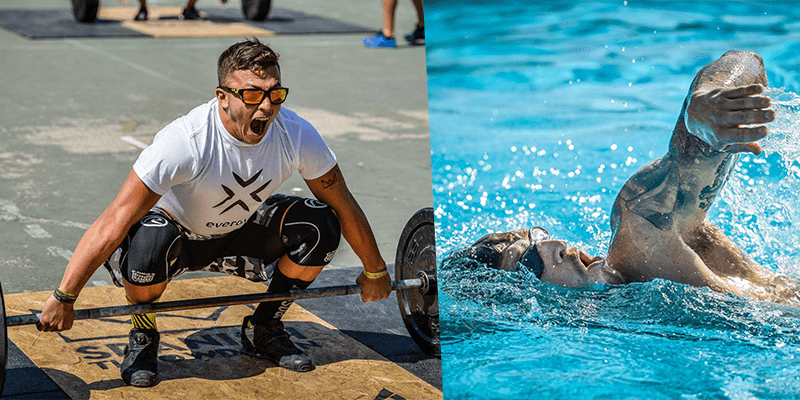 It is also used by CrossFit Games® Athletes, Olympic swimmers (Adam Peaty), Professional footballers (Liverpool FC) and Rugby players (Warrington). 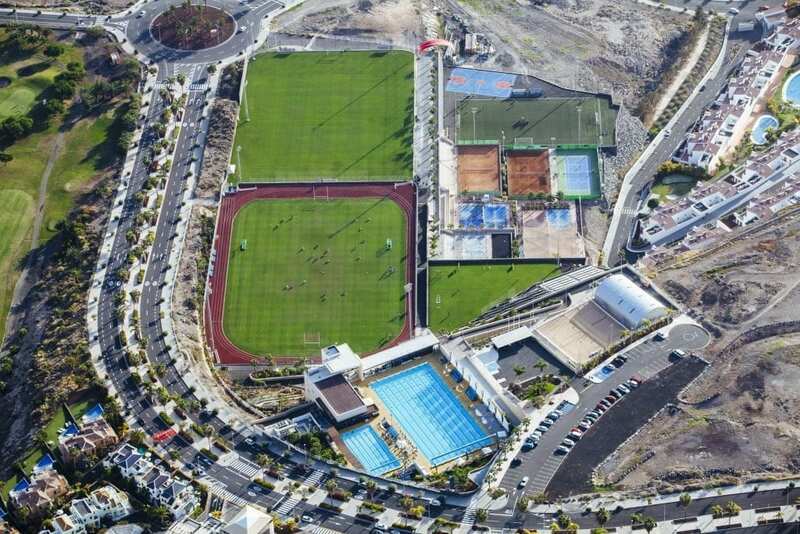 Welcome to Tenerife Top Training. The dream holiday destination for Crossfitters. Oh, and the subtropical temperature is perfect for training all year round. After your holiday at Tenerife you will leave inspired, motivated and fitter, with brand new insights about health and fitness and in better shape than when you first set foot on the island. 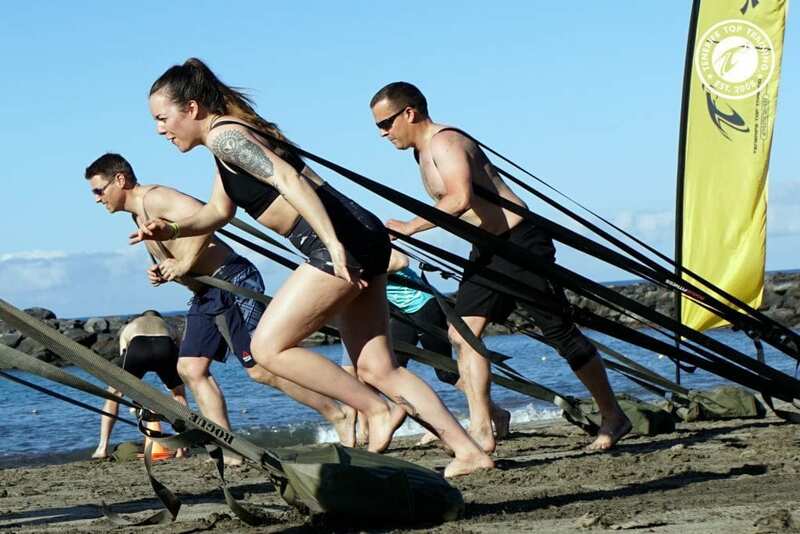 Check out their impressive, official affiliate Box CrossFit Survive Top Training and training facility for more details. Even a few members from the BOXROX crew were there last year to train hard and have fun in the sun. One of the best parts of the holiday is the community. You can bring your friends and train together, or join other groups and train with other people that love fitness as much as you do. Daily training in the sun! Most swimming pools are 25 m long, competitive pools are 50 m long. 200m should be 4 rounds front and back in the pool. It is good to have some sort of a mat under yourself while doing the sit ups since the bank is not as smooth as a regular gym floor and you can’t wear as many clothes to protect your skin. The mat is helpful for the burpees too. Swim one round, front and back. Get up from the pool is a similar technique to the muscle up. Get up 10 times and jump back into the pool, it gets straining quick. Try using your arms more before putting the leg on the bank. The duck walk is often forgotten. Go down to a deep squat position and keep your knees to the outside. Walk by the pool to the other side in that position without lifting your behind over the knees. Boot strapper is a really fun workout that kills your legs. Again go to a deep squat, put your knuckles on the floor and keep them there the whole time. Straighten your legs with your back as straight as you can. Keep bending and straightening your legs for 40 reps.
Heel touches are a good core workout. Lie on your back, bend the knees and keep the feet together. Lift your shoulder blades from the ground and sway side to side to touch each heel. 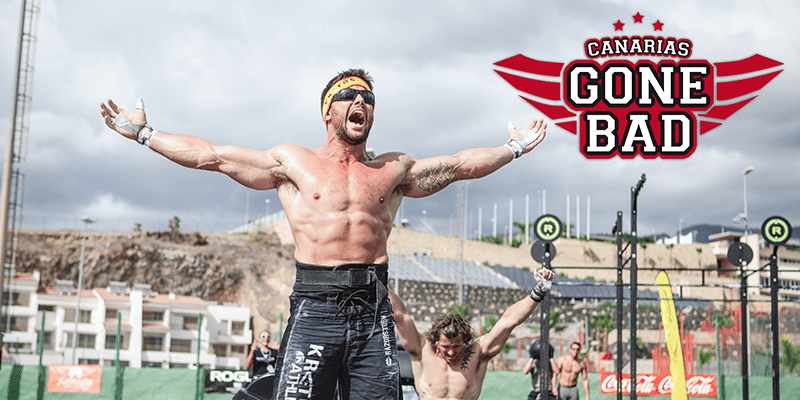 Tenerife Top Training also plays host to the excellent Canarias Gone Bad Competition. Feel free to replicate workouts and test yourself against the other athletes.